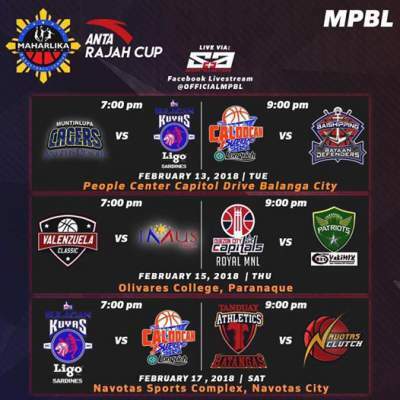 Here is the details for Bataan Defenders vs. Caloocan Supremos in the elimination round of 2018 Maharlika Pilipinas Basketball League (MPBL) Rajah Cup. Caloocan Supremos barged in the win column with a 76-69 victory over Bataan Defenders. Marlon Adolfo led Caloocan with 17 points and six rebounds, Mar Villahermosa had 14 while Allen Enriquez added 13 markers. James Castro had 14 points, Jay Sierra contributed 13 while Gary David added 10 markers for the winless Defenders. Watch the highlights from Caloocan Supremos' 76-69 win over Bataan Defenders on February 13.